Professionals make things look easy. Do they prepare? The truth might surprise you. James Schramko here, and today I’m talking about the difference between winging it, and preparing professionally. When I was selling, and then subsequently managing salespeople, I noticed some people were more successful than others. Salespeople are the classic type of person who want to wing it. Now there’s a big difference between improv – improvisation, and prepared and rehearsed selling. If you have a strategy and a system and perhaps a template that you follow every time, you will get a predictably better result. You don’t just turn up to a TED Talk and wing it on the spot. And your favorite comedian will have rehearsed his routine over and over again, to have that spontaneous laugh. You want to prepare your slides and go through the slides several times so that when you get up there and prepare, you can be very confident knowing that you’re going to deliver great value, and that all of the things you need to cover, especially the Why, the What, the How, and the What If, will be presented for your audience’s best value. Now if you are winging it, you are short-selling your results. Put in that preparation time, do a little bit of homework, and you’ll get results. Now the best example I can think of to demonstrate this is my weekly call to SuperFastBusiness community members. In our paid private community, I deliver a one-hour mastermind each week, and it covers a set criteria of topics. And I prepare that in advance for each session. The results are about tenfold what I’d get if we just wing it. It still heavily relies on improv, because we have a mastermind and there’s other people contributing, but the structure is in place and the key points are outlined and covered throughout the one hour. Come along and see a mastermind for yourself. Join our community. 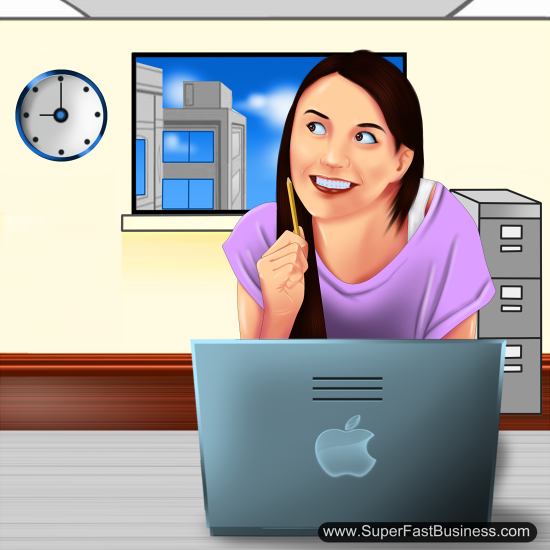 Head along to SuperFastBusiness.com/membership, and you can join like-minded other professionals. Well I hope you’ve enjoyed today’s topic. I’m James Schramko, I’ll speak with you again soon. In my youth I used to *wing it*. Sometimes things worked out. But to be FRANK most often they didn’t. And that’s the thing… even when they did work out.. in my heart I walked away feeling like I’d lost (just a little). Gary Player (widely regarded as one of the greatest players in the history of golf) is rumoured to have said, “the more I practice the luckier I get. So I’m with you and Gary. Preparation is the key to success. I still wing it sometimes and I know I can do better… for example I am doing more prep work for TAG episodes. It is worth it. I guess there it’s a mid point between winging it and over-preparing to the point of not doing it at all. I think if there’s a choice between nothing and winging it, it would be best to just go for it and learn from it and make changes on the way.